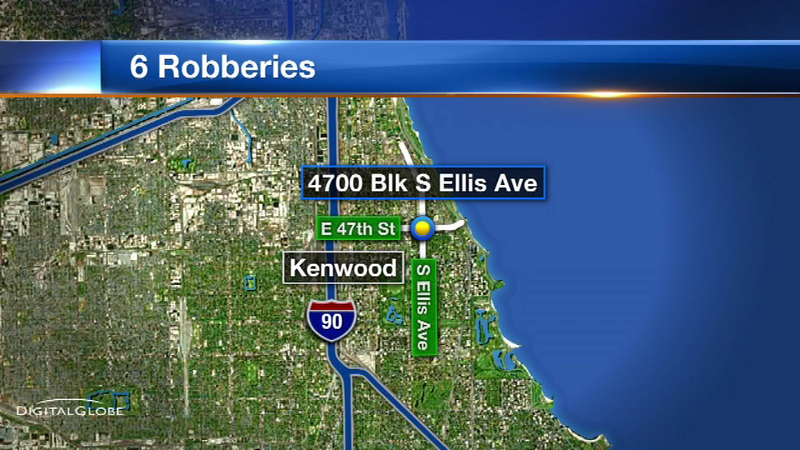 CHICAGO (WLS) -- Six people have been robbed in the 4700-block of South Ellis in the Kenwood neighborhood since June 1, 2015, Chicago police said. In all of the incidents, the victims were approached by two men and a woman who threatened violence before taking valuables. The robberies are not far from the home of President Barack Obama.